OMG! December is knocking on the door. Have you make your holidays list already? Besides books, what do you wanna give to that friend? I love make kits with my gifts, and I LOVE to receive kits. You know why? Because it looks like that person put some effort on the gift. It doesn’t have to be a HUGE box with many different stuff, but at least one item to go with the book or the gift card. So I put together this gift guide I would love to see in a box under the tree. Hope it will give you some ideas. Click on the photos to go to the stores. So, yes, it’s a thing. 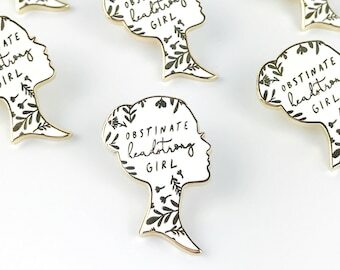 An enamel pin to give a personal touch to that scarf, or black shirt. I think is so stylish. I have a collection and they are all book and plant related. There is no such thing as too many mugs. It’s so versatile, you can use to so many things besides drinking. 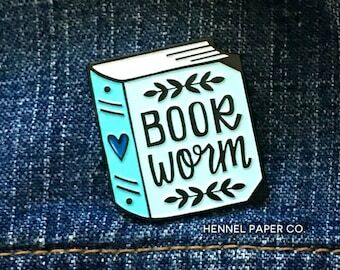 I have mugs holding pens, pins, stickers, plants… And it’s amazing how reading is so good with a cup of hot chocolate or tea. 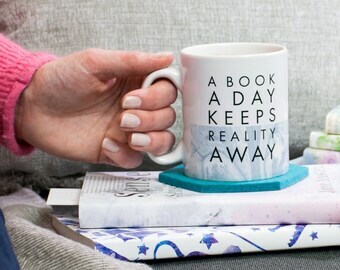 So, yeah, mugs and books go well together! I must admit, these are expensive, and it’s not a companion gift. I love book ends, I think it’s charming! I have one that it’s a quote from The Hunger Games and it’s so empowered. It’s such a great addition for decoration. 4 | Book candles? Let’s set the mood! 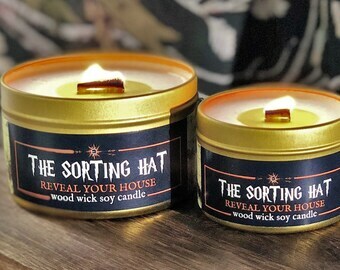 What’s in a candle these days? 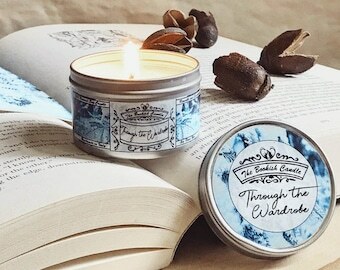 I am buying a lot of candles because of Instagram and books, I check the smell first and then how nice they would be on a picture. Is this being shallow? Hope not! 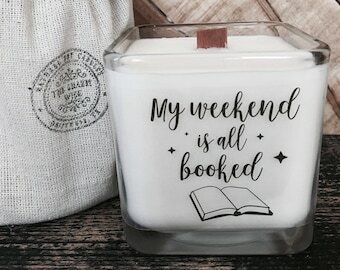 I consume candles every time I read, so I end up with cups and nice lables! I have a huge collection and I love different ones, not just paper. 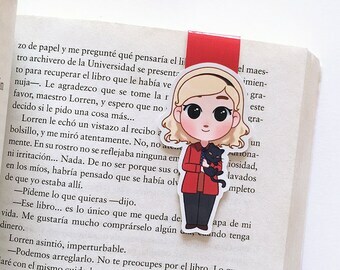 This is totally a great companion gift to a book. Hope you enjoy it! Do you have any other gift ideas for book lovers? 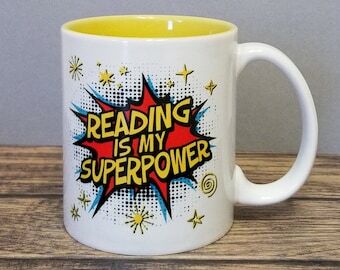 Most swag is wasted on me like bookmarks – I read digitally, but I do love clever mugs.